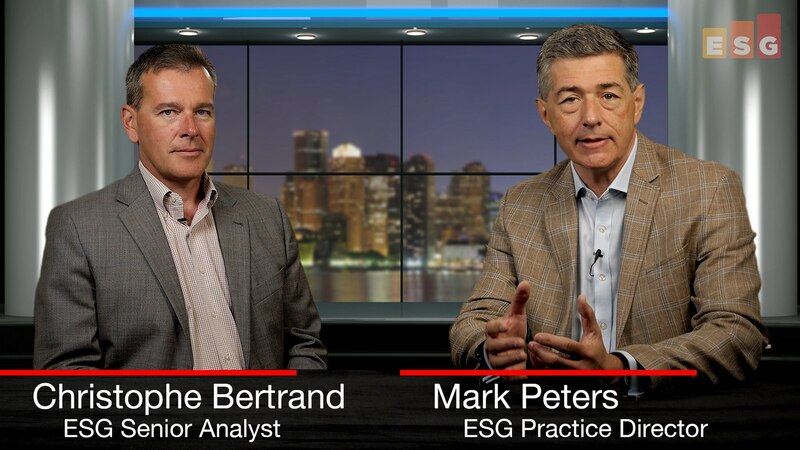 This conversation with Christophe Bertrand, part of ESG's 360 Video Series, is a reminder of the importance of data protection (DP) - especially the recovery element rather than 'just' the backup element. 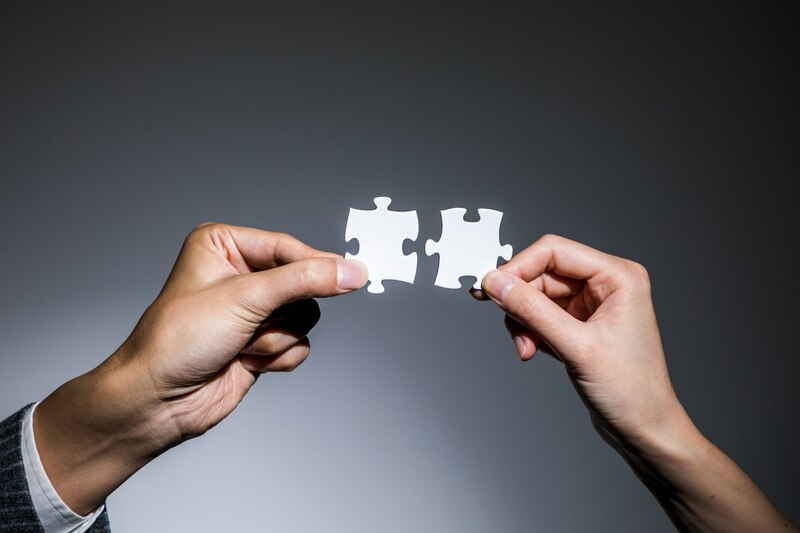 This may seem obvious; however, Christophe reminds us that the importance of DP is not to be measured so much as a only a necessary basic cost of doing business, BUT that - when optimized - it can actually return genuine value to the business. So, while the technologies and processes of DP's mechanics continue to improve, it is the resulting data-ROI opportunities of DP that should really be driving the business discussions and decisions in this area. 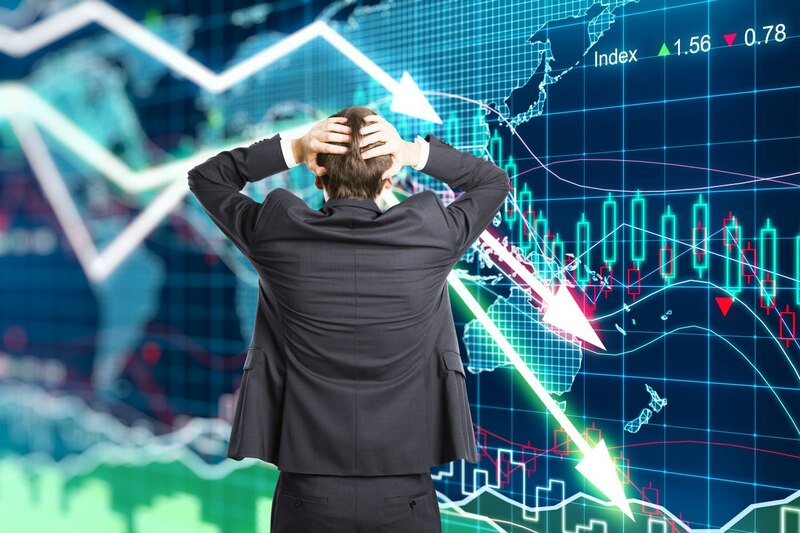 One of the fascinating parts of my job is watching companies ebb, flow, and change over time. Sometimes it’s stealth ideas in borrowed offices, sometimes it’s start-ups that are “Roman Candles” or bloom to maturity and/or acquisition; and sometimes it is the venerable industry giants really making a substantive change. The last is rare, often painful, and invariably slower than the others...but the recent HPE Discover event persuaded me that I am probably witnessing such a transformation. This year’s Discover event was the first time the 20-year HPE employee and engineer, Antonio Neri took the stage as President and CEO. 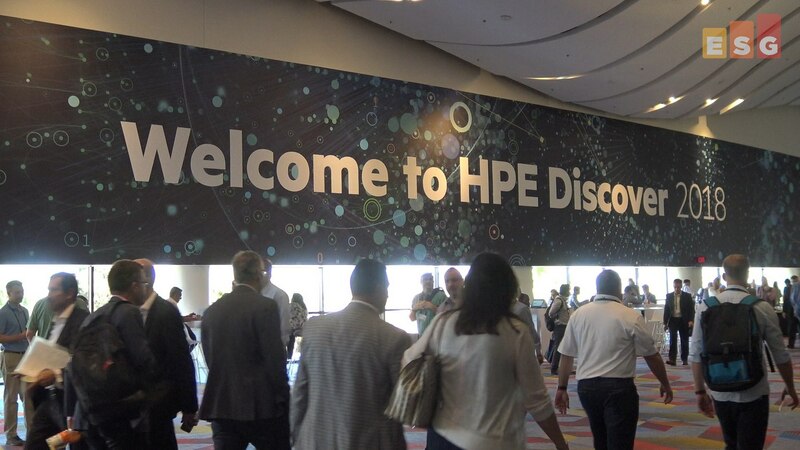 Antonio was engaging and humble – a very approachable CEO, he seemed to be acutely aware of the HP legacy, but is determined to drive HPE forward. As container and Kubernetes adoption grows, more and more companies are looking for support in adopting and running their environments. Rancher Labs has been leading the way with helping enterprise companies adopt and run container and Kubernetes environments. The Rancher Labs founders have a background similar to mine, in OpenStack, and all of us have learned what worked and didn't work with enterprise adoption. 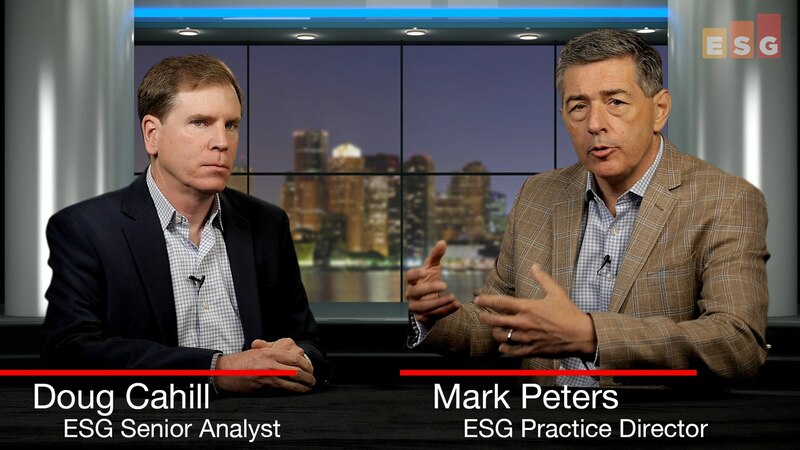 This discussion with Doug Cahill, part of ESG's 360 Video series, covers the changing nature of cybersecurity threats across generations. As Doug makes clear, it’s not just the point and complexity of attacks that has changed, but their nature has too - both in terms of the perpetrators and their motivations. From the earliest generation of “nuisance” attacks on PCs, via application and operational disturbances as the Internet grew, and through to the systemic, malicious, and often monetarily motivated modern generation of attacks (that now includes 'crypto-jacking' and even state-sponsored actions), the threat landscape has become increasingly complex. The situation is even more challenging as the various generations and styles of threat do not supercede each other but are accretive and all continue today. This means that defense in depth and prevention are the watchwords for today; and this helps explain the rise of cybersecurity 'umbrella' platforms rather than simply an ever-increasing number of point products. It is a serious situation, but not without hope! 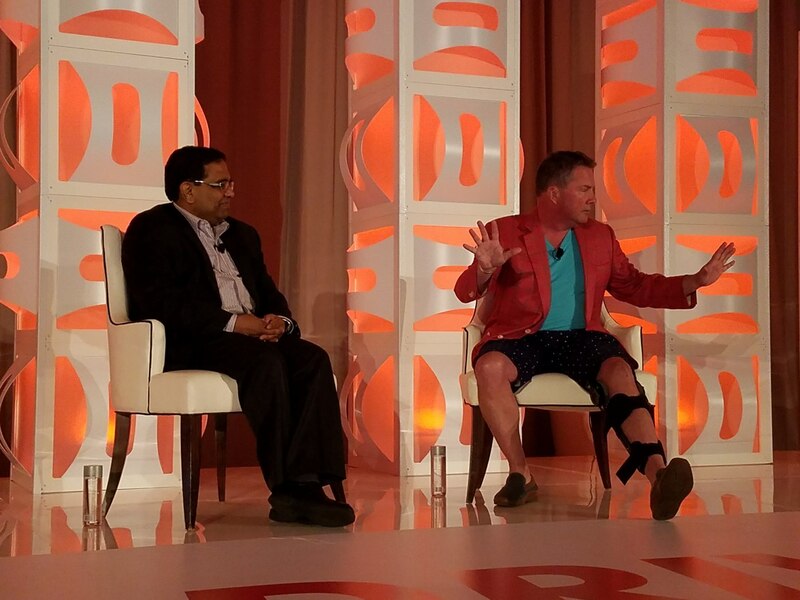 I recently went to Actifio Data Driven 2018, Actifio's global user conference held at the Fontainebleau Miami Beach. At Data Driven, Actifio's customers and partners showcased how and why they use Actifio solutions. I had a number of key takeaways from the conference. Actifio clearly understands the value and importance of data. This was not just another data protection company adopting the term "Data Management" to frame themselves as more than just backup and recovery. Data Driven 2018 demonstrated that Actifio understands that the value comes from how customers use the data, not just that the data is made available. In session after session and customer meeting after customer meeting, I saw how customers and partners discussed the uses of the data made available by Actifio. I was impressed by the real-world benefits that were highlighted by everyone. 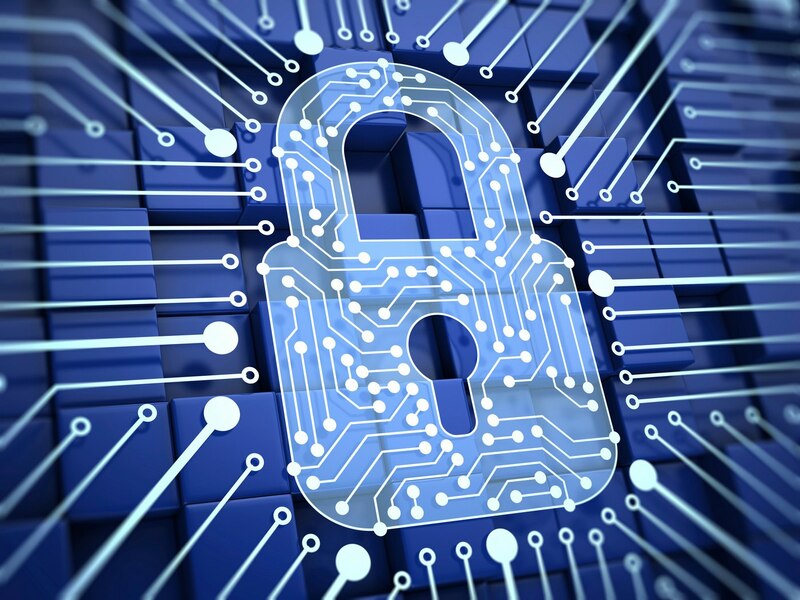 Venture capital investments in cybersecurity companies are aggressive these days but yesterday’s news was startling nonetheless. First, Cylance announced a round of $120 million led by Blackstone Tactical Opportunities. Cylance says that the funding will help it expand sales and marketing initiatives and extend its global footprint. 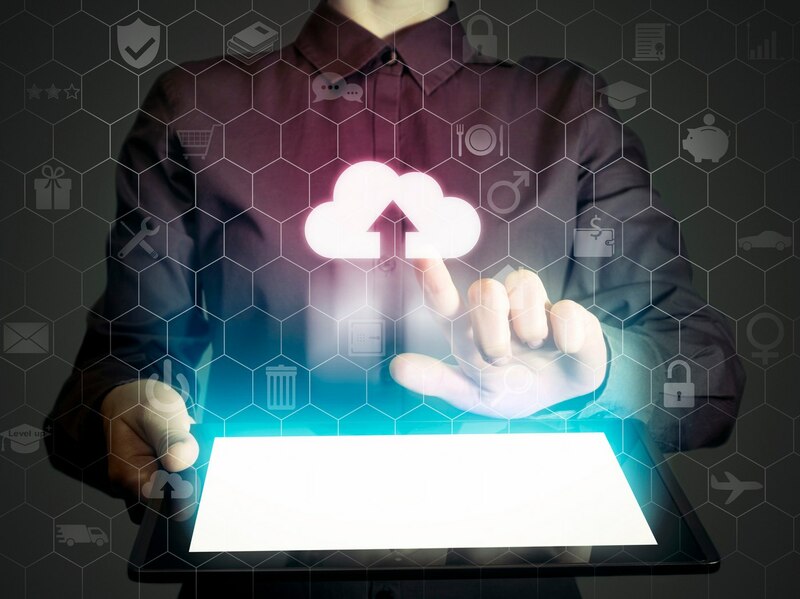 Salesforce has become pervasive as the cloud-based CRM solution of choice in many enterprises, yet its backup, restoration, archiving, and management of data in general can be complex and expensive. We recently met with a very interesting player in this space: Odaseva. The company offers a Salesforce-only third-party solution that builds on the Salesforce APIs to deliver more predictable and robust SLAs for data-management-as-a-service, including some new capabilities focused on meeting the GDPR challenges. 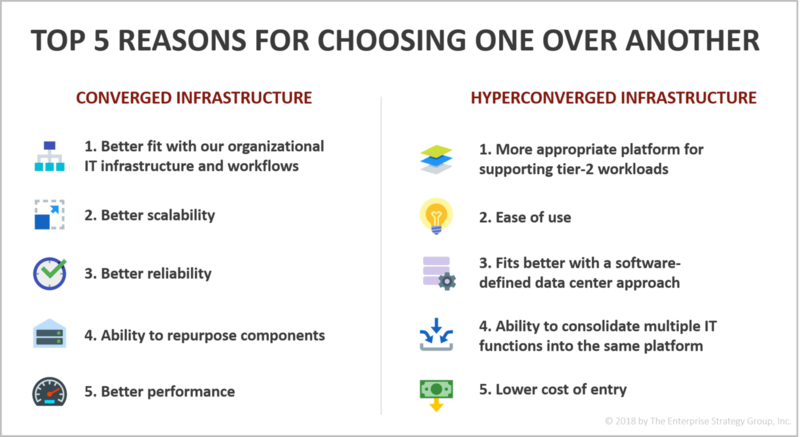 Much of the discussion when it comes to moving workloads from on-premises data centers to cloud infrastructure-as-a-service (IaaS) is about the need to lift and shift VMs. The problem is that much of the discussion is about what happens after the lift and shift, in terms of the operational and cost-side of running VMs in IaaS. What has been missing is the discussion of how to get those VMs into the cloud in the first place. I can always easily tell who has actually attempted the shift and who hasn't by asking them about the difficulties of converting on-premises VMs to cloud VMs. If the company gets into details about all the different conversion options (data migration, VM conversions, compatible hypervisors) and the issues around each, then I know they have actually made the conversion attempt. 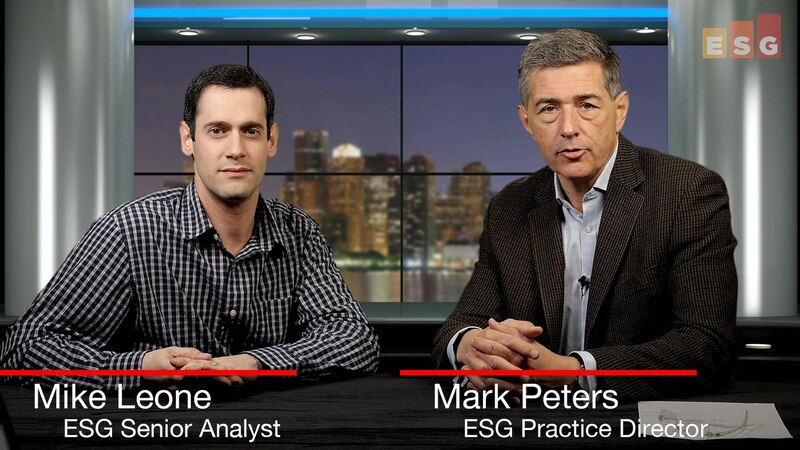 In this installment of ESG's 360 Video Series, "Talking Technology," Mike Leone offers his insights into data analytics - it being a popular, almost prerequisite, term these days in any IT corporate or product pitch...its frequency often only matched by a paucity of understanding! Mike points out that the capability of data analytics is to not only make IT itself better (more productive, for instance) but to allow IT to support better operations (such as using insights to make previously unseen opportunities manifest). In an IT world - indeed simply a world! - that is increasingly data-driven, Mike explains how data analytics is not only an integral part of the emerging data platforms space, but can also be deployed in/from/with the cloud. Rubrik delivers a platform to manage and protect data in the cloud, at the edge, and on-premises. Providing a unified user experience for data protection stemming from multiple sources for the enterprise space with an API-first strategy, the company recently released version 4.2 of its Alta management platform, adding key capabilities to further its ability to support hybrid cloud environments. 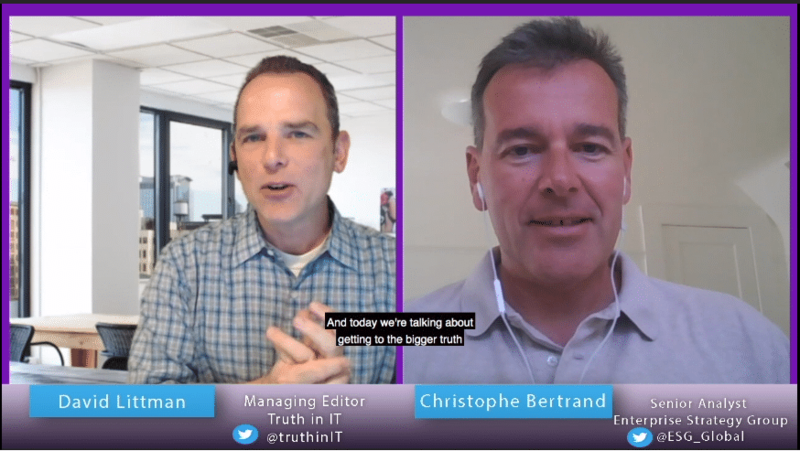 Check out this new video interview I did with Dave Littman from TruthinIT. This week, Dave and I discussed data protection and GDPR. Every week, we will cover a new topic on the Data Protection Channel of ThruthinIT. Cisco held its annual customer event this week in Orlando FLA and invited the industry analysts to attend. CEO Chuck Robbins highlighted the company’s commitment to security in his CiscoLive keynote while other executives elaborated on more security product and services details. John Colgrove (universally known as 'Coz') is one of the founders at Pure - that alone makes him interesting. 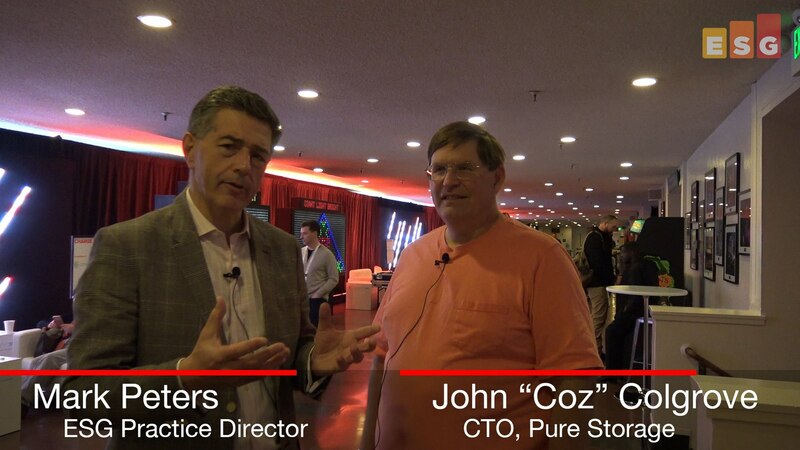 But he also happens to be a genuinely interesting person; so when I got a chance to interview him at the recent Pure Accelerate event, naturally I took it. I wanted to avoid the obvious “tell us about the products, Coz” (if you want to know about the happenings at the company and the event, you can see ESG's On Location video and other blogs by Bob Laliberte, Scott Sinclair, and Mike Leone)....and so instead in just 5 minutes or so we manage to touch on the motivation of the company founders, the satisfaction of Pure implementations that deliver real value to humanity and not just to balance sheets, and the future - or at least semantic longevity! - of the storage and data industries. Always fun, we’ve had the chance over the past year to meet with the top IT channel leaders as they use the tools at their disposal (technology and product sets, program elements and options, resources, and teams) to gain attention from and drive business through IT partners of all types. 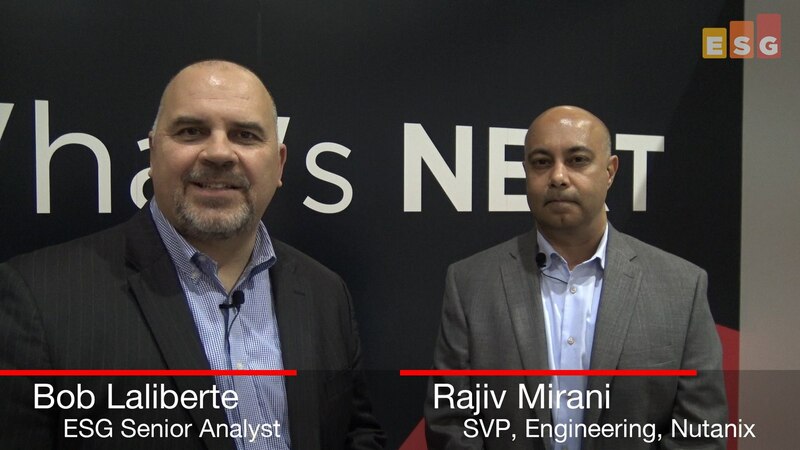 In this video, I speak with Rajiv Mirani of Nutanix at the .NEXT conference about one of their latest acquisitions, Netsil, a digital native application performance management solution built specifically for containers and microservices. Learn about its different approach to collecting information and providing actionable information. We discuss how this innovative solution fits into the Nutanix mutli-cloud strategy and how customers will benefit from it, and Rajiv provides some insight into how the technology will evolve to better serve hybrid cloud environments by integrating with Nutanix FLOW and the role it will have automating brownfield segmentation. I was able to catch up with Binny Gill at the Nutanix .NEXT conference to have a quick discussion about one of their newest product announcements – Beam. This announcement is important in many aspects as it is Nutanix’s first SaaS offering and serves as the foundation for its customers to truly understand multi- cloud environments. Organizations can leverage Beam to fully understand their cloud footprint, costs, and compliance with best practices. 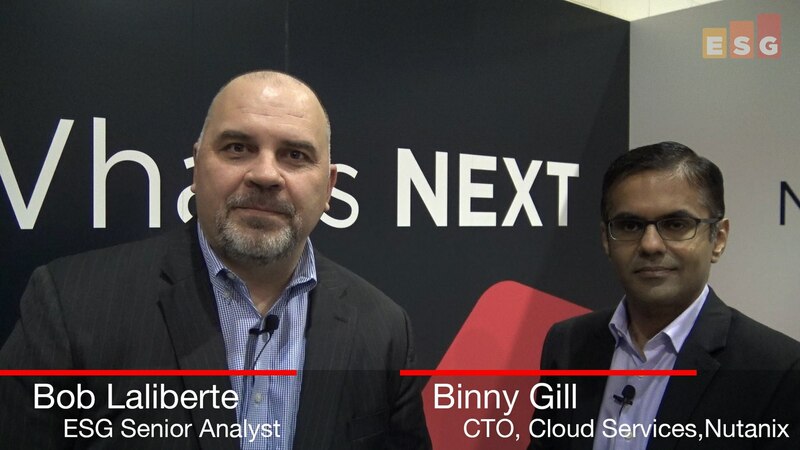 Binny also shares some examples of how customers are leveraging Beam and provides some insight into where Nutanix will leverage it in the future. 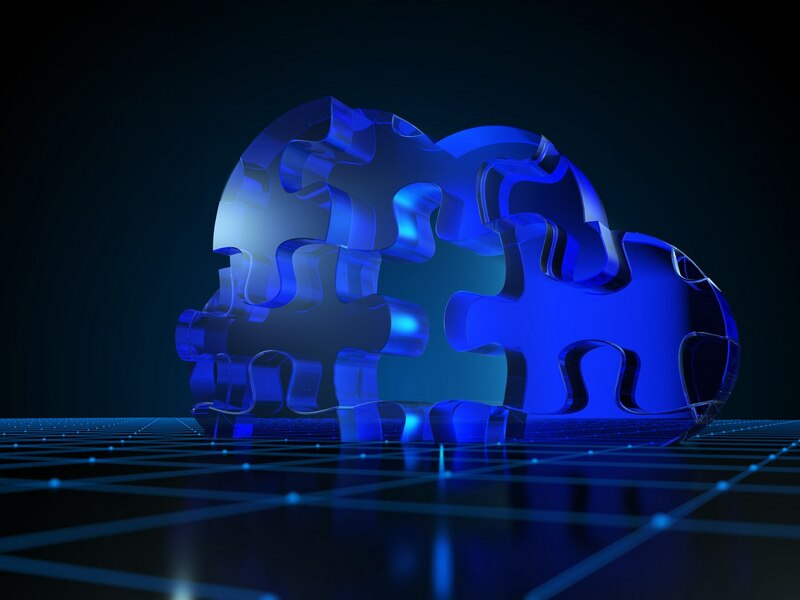 In the last blog, we covered the increasing role of cloud in building a resilient IT infrastructure to prevent or negate application downtime or data loss. 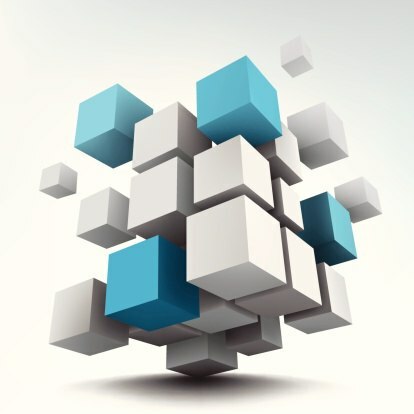 I would like to place the focus back on the business side of things and share some great research points from our recent Real World SLAs and Availability Requirements Research Master Survey Results set. Spoiler alert: they are not pretty and should scare you! 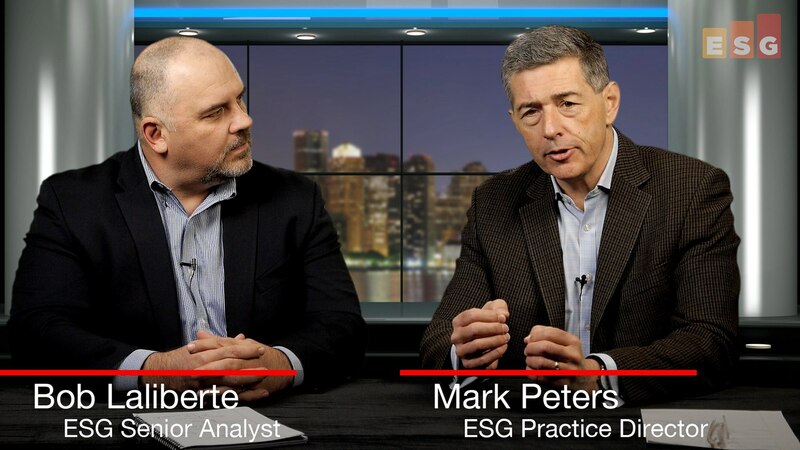 In my second networking conversation with Bob Laliberte, part of the ongoing ESG 360 Video Series, we concentrate on how networking can be aligned with - and help to drive - business objectives; with step one being the provisioning of information (analytics, ML, and AI) and step two being an active system (programmable automation to limit or preclude manual steps). When combined, these constitute the major elements of what is often spoken of as “intent-based networking” - in simple terms, you can think of this as traditional static network plumbing transitioning to become a contemporary dynamic part of optimizing application outcomes. Congrats to the Druva and CloudRanger teams for the acquisition announced on June 5th. With this acquisition, Druva adds native AWS workload data protection and management capabilities to their on-premises solution. 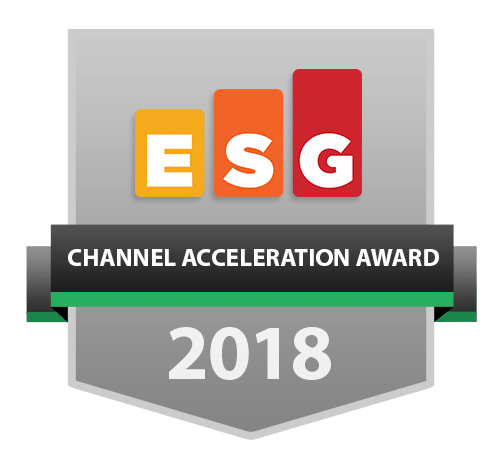 ESG's 2018 IT Spending Intentions Research Report indicates that 46% of the organizations we surveyed use cloud infrastructure to run business applications. 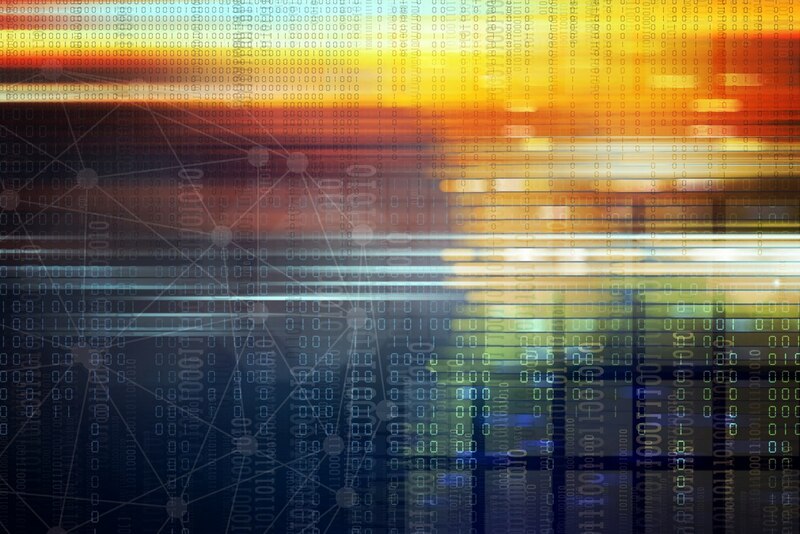 Clearly, the ability to protect these workloads has become very important to IT, and Druva is one of the vendors positioning themselves to take advantage of this trend. 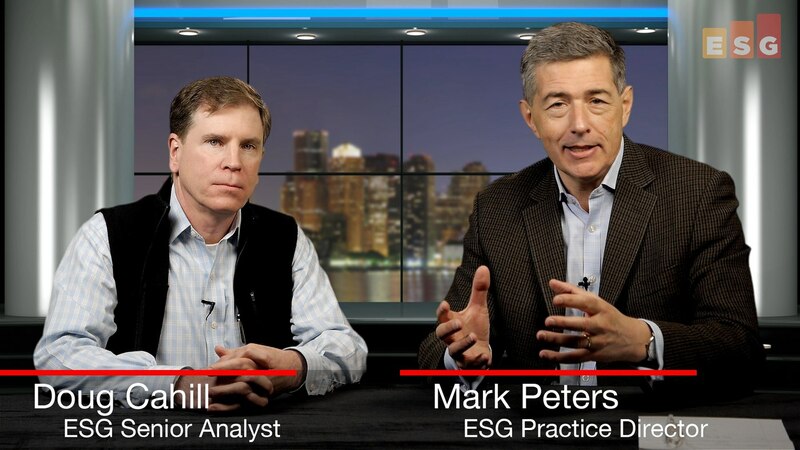 Native/aaS/In-cloud data protection is a space that ESG is watching closely – stay tuned! 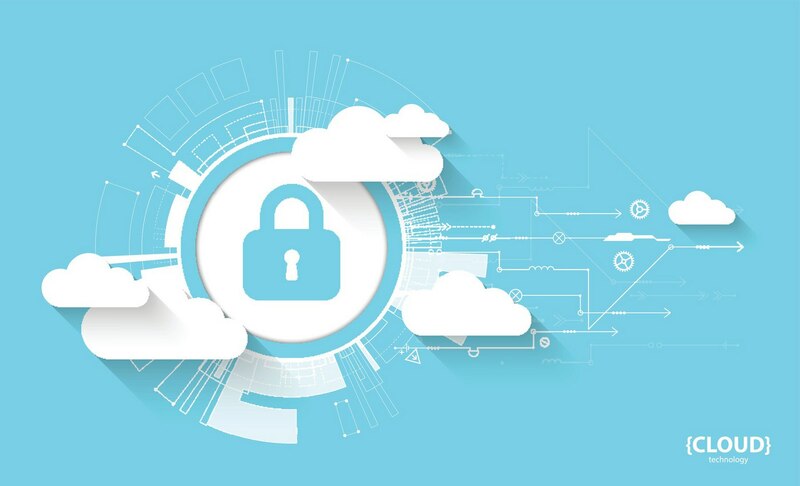 As organizations embraced the public cloud over the past few years, security teams were on the hook to modify network security policies and implement security controls to protect cloud-based workloads. The goal was simple: Protect cloud-based workloads with network security polices and controls that were equal to or better than existing safeguards for physical and virtual servers in corporate data centers. 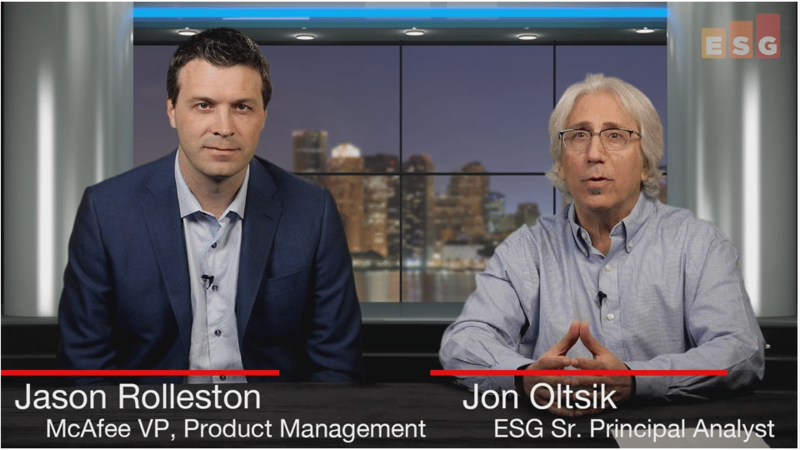 In this discussion, part of ESG's ongoing 360 Video Series, Doug Cahill talks about not just the intricacies of cloud security – both of applications for Saas models and of infrastructure for IaaS – but also the opportunities that doing cloud security well can afford a business. It’s not simply a matter of ever more “padlocks on doors” but rather is a matter of making cloud security part of an integrated process; this is especially crucial when so many organizations are essentially [at least to some degree] software developers, using approaches such as hybrid models and containers that can potentially expand the threat landscape if not pre-handled. 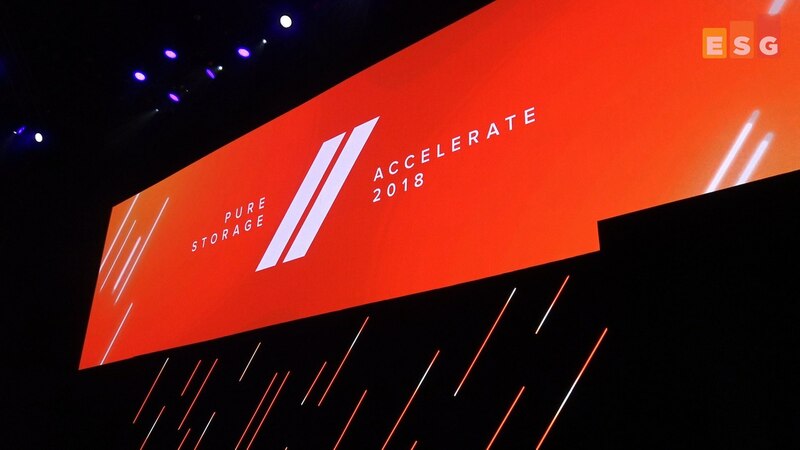 Last week, Pure took advantage of the historic Bill Graham Civic Center and auditorium to host its annual customer and analyst event, Pure Accelerate 2018. Accelerate is a good choice for Pure as 2017 marked its first year with over one billion dollars in revenue as an independent company. A feat it accomplished in 8 short years. Security analytics and operations. Analytics and operations are foundational elements of SOAPA, so I asked Jason to tell me about McAfee’s strategy in each area. Rolleston points out that there is more security data than ever, so finding the signals within the noise is more difficult than ever. McAfee is moving beyond event correlation for security analytics, putting a lot of resources into machine learning for anomaly detection. 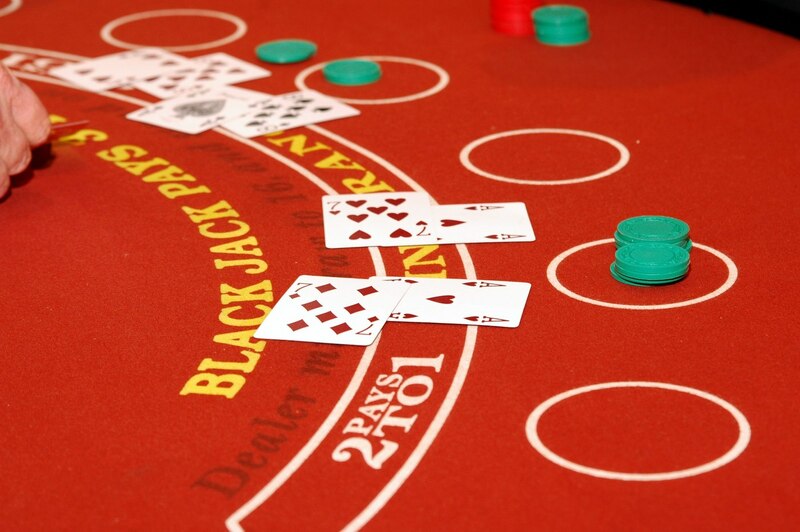 McAfee believes it has an advantage by applying machine learning across technologies. 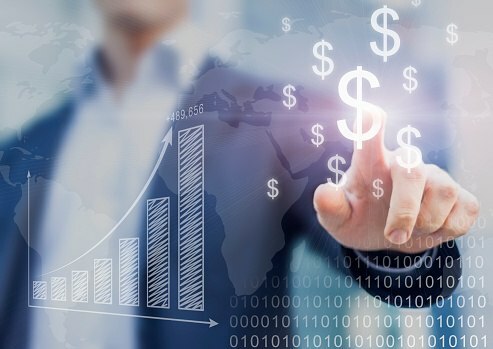 On the operations side, McAfee wants to help analysts take more effective and efficient actions, so it is investing in automation capabilities with Investigator, Active Response, Sandboxing, etc.